Spectacular northern lights appear over Mount Kirkjufell in Iceland. 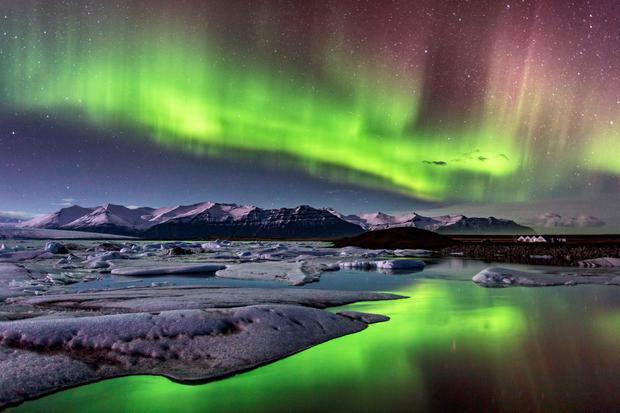 Northern Lights over Jokulsarlon, Iceland. 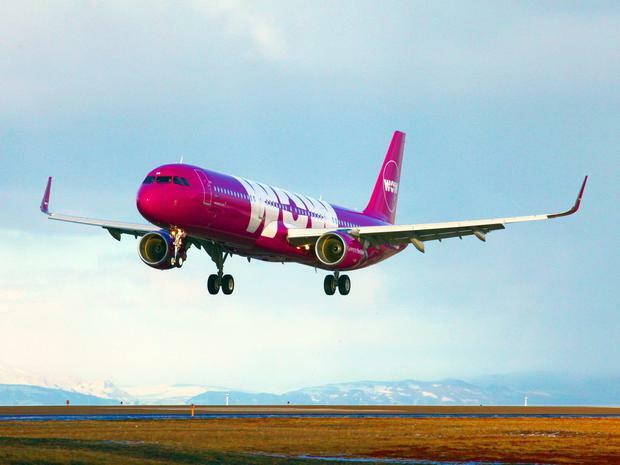 This Friday, WOW air launches direct flights from Cork to Reykjavík. Combined with its Dublin services, operating since 2015, we now have 10 scheduled flights a week to the Land of Fire and Ice. With lead-in prices from €59.99 each way, it's affordable too. Most visitors take in the capital, Blue Lagoon and Golden Circle, but as our writers show (below), the Iceland travel tips don't stop there - from the Westfjords to whale-watching, Game of Thrones locations to tectonic snorkels, Northern Lights to a ring road ruling them all, this country merits a bucket list all to itself. What's the catch? Well, flights are cheap, but visitors should brace themselves for prices that would make a Scandinavian blush (among other 'ouch' moments, we paid €7 to rent a towel and €5.10 for a coffee). Iceland is dealing with overtourism, too - placing strains on a fragile ecology, local patience and an infra- structure built for thousands, not millions. Despite all of this, just 340,000 people live on an island bigger than Ireland (nobody lived here at all until the ninth century), and a few kilometres outside Reykjavík, you'll still find roads to yourself. Venture further, and the dreamscapes run deeper. Iceland is a once-in-a-lifetime trip, just 2.5 hours from home. Yes, everybody does it. But there’s a reason. The Golden Circle is Iceland’s classic sightseeing tour, a 300km loop ranging from Reykjavík into the southern uplands, immersing visitors in a jaw-dropping spread of scenery that starts before you leave the city suburbs. Think of the Ring of Kerry, via Game of Thrones. It genuinely is that dramatic. There are three main stops on the route — Thingvellir National Park (thingvellir.is), where tectonic plates are separating in slow-motion beneath your feet; the crashing Gullfoss waterfall (complete with its own mini-rainbow); and Geysir — where a thrilling, 30m spout of water can be relied upon to burst from the earth every 4–8 minutes (see video). It’s Iceland in a nutshell, throwing up one mind-blowing landscape after the next. This Holy Trinity of sights gets crowded, of course, but Iceland is one of the world’s most sparsely-populated countries, so your bus will enjoy regular stretches of empty road, even in high season. Go in winter, and you’ll experience a bleakly beautiful snowscape and a real chance of the Northern Lights (with more hours of darkness), while summer tours bring warmer weather, endless hours of daylight and a colour spectrum ranging from black lava to blue pools and bright green moss. Driving means you can travel at your own pace, but a guided tour provides a running commentary that can enlighten and entertain. 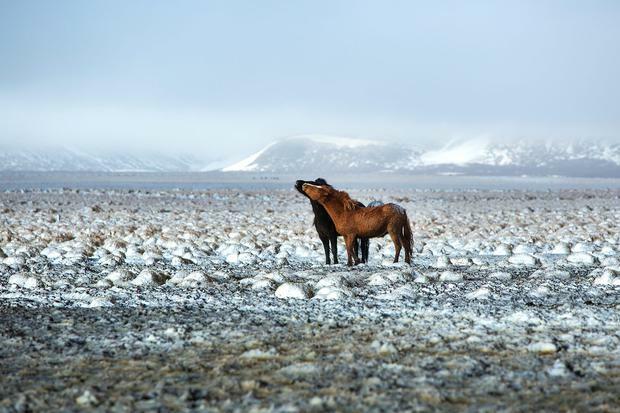 Stories of early Viking settlers, geological insights (‘these are the stretch-marks of the earth,’ as our guide put it), and Icelandic horses’ unique fifth gait all add to the experience. My advice? Pony up, play the tourist and savour the spectacular sense of place. You’ll be a Facebook hero back home. Do it: Companies like Reykjavík Excursions (re.is), Gray Line (grayline.is) and Extreme Iceland (extremeiceland.is) do day tours from around €85pp. Iceland Travel Tips: Lunch is not included on most Golden Circle tours, so stock up on snacks and be prepared for high lunch prices at Geysir (geysircenter.is). Whatever the weather that morning, bring hats, gloves and waterproof layers. It gets super-windy at stops like Gullfoss and Thingvellir, and you never know when rain will strike. It took me a moment to find my Iceland legs. After a 45-minute flight from Reykjavík to Ísafjördur, capital of the Westfjords, it took me just two minutes to get from luggage belt to hire car. Not before sliding awkwardly across the icy road, though... an early introduction to Iceland’s remotest region. It was my first time driving in winter conditions, and I was assured the four-wheel drive and snow tyres were all I needed to stay safe. Sensing my worry, the attendant handed me a leaflet with some pointers. On one, the website safetravel.is recommended registering your GPS location and expected arrival time, so they know where to look in case of an emergency such as an avalanche. So far, so different from anything I’d ever experienced. The flight had been breathtaking, too — Icelandair’s 37-seat propeller plane flying close to snow-covered mountains is a favourite among ‘extreme landings’ videos on YouTube… both for beauty and pure nerves. 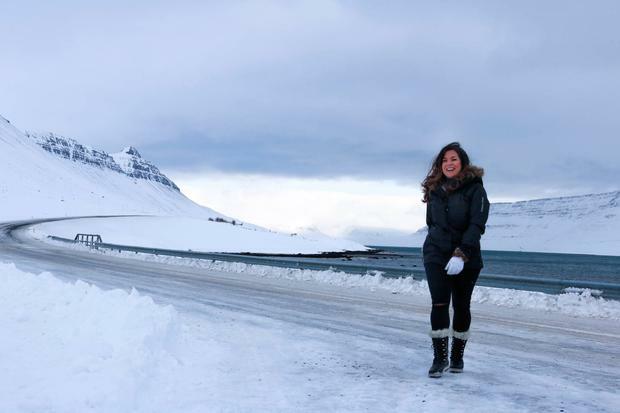 After picking up my car, I drove to a guesthouse called Heydalur (heydalur.is; doubles from €140), 130km further along a winding road through the fjords, sloping steeply down to black sand and icy cold water. On arrival, the elderly proprietor told me that she and I were two of about 10 people within a 100km radius. Still, the WiFi signal was surprisingly strong. I received a text from my sister asking where I was. “The map won’t load,” she replied, when I shared my location. She was mistaken. There was nothing around me. While extremely remote, we weren’t alone. I ventured off in search of a local bathing spot known as the ‘hot pot’, wading through knee-deep snow only to be surrounded by 15 blond and white Icelandic horses. If you make it this far, and you’re lucky, you may even see the Northern Lights right there while sitting in the 40°C thermal water. Ísafjördur looks just like the set of Fortitude, with dramatic fjords surrounded by towering mountains. Later, I found myself cutting through ice with the tip of my kayak in that very water, asking my instructor if we should head back in as my flight was due to depart in 20 minutes. “No worries,” he said. He’d also left the keys of his van in the ignition. It seems safety isn’t really something the people of this peaceful place need to worry about. Do it: Ísafjördur, gateway to the Westfjord region, is a 40-minute flight (icelandair.com) or 445km drive from Reykjavík (allow six hours). Iceland can be eye-wateringly expensive. Our top tips? Bring towels to avoid rental fees at thermal baths. Refill water bottles with pure Icelandic tap water. Stock up on snacks at budget supermarkets like Bónus and Krónan. Download the Reykjavík Appy Hour app to find cheaper drinks in real time. 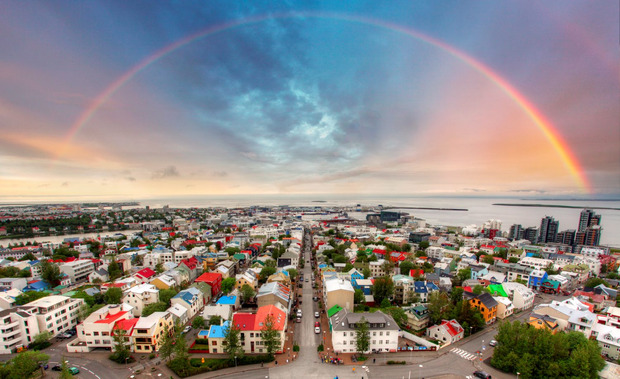 Save on transport, museums and pools with a Reykjavík Card (visitreykjavik.is; from ISK3,700/€24 for 24 hours). Reykjavík will give your heart a tug. Tiny yet cosmopolitan, beautiful yet expensive, swinging from bleak and snowy winters to al fresco summer festivals, from midweek desolation to whirlwind weekends, those who fall for it fall hard. Think of an Arctic Galway or Kilkenny, splashed with street art and corrugated-iron-clad buildings, with pristine, snow-capped mountains visible in the distance at every intersection. More than two-thirds of Icelanders live in the area, but it feels like a town, not a city. The air is fresh, the buildings low-rise, and a short walk takes you to the harbour, to lazy lakes or old timber house suburbs. It really is that intimate. I first visited Reykjavík in 2005, when it felt like a mix of whaling outpost, wintry Nordic colour and boho bar-hopping. Years later, there are more hotels and cranes, tapas and sushi. The honeycomb-like Harpa concert hall dominates the harbour and Jamie Oliver is opening a restaurant at the Hotel Borg, but the cool cosiness remains… it’s perfect for exploring on foot. Essential stops? After the obligatory Instagram snap atop of Hallgrímskirkja (above), pop down the street for a liquorice and raspberry roll at Braud & Co (Frakkastígur 16). Laugavegur is the main drag, a thin strip peppered with cafés, bars, boutiques and outdoorsy stores. 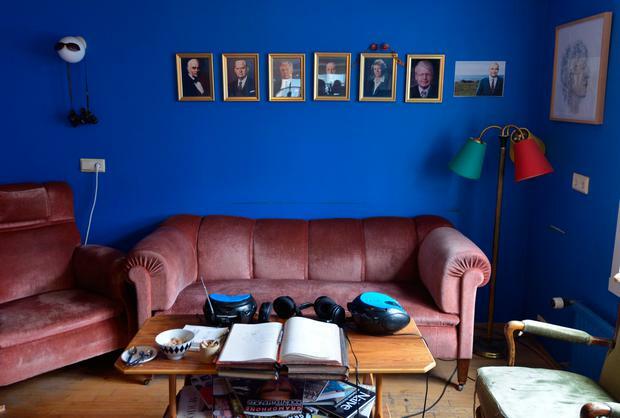 Sample a local brew at Kaldi Bar (Laugavegur 20b) or Kaffibarinn (Bergstadastræti 1), before dropping into 12 Tónar (Skólavördustígur 150, above), a small record shop at the heart of Iceland’s intriguing indie music scene (sit on couches and listen with a coffee). Secret Solstice (secretsolstice.is; June 15–18) is the country’s best music festival — this year headlined by Foo Fighters. Reykjavík’s museums cover themes ranging from sagas and settlement to punk and penises (yes, really) — if you’re a culture vulture, consider investing in a Reykjavík City Card. Iceland’s local food and craft drink scenes are thriving, too — Dill (Hverfisgata 12) won its first Michelin star, though in truth, many value-led visitors end up refuelling on hot dogs and supermarket snacks. Small, but perfectly formed, Reykjavík is like the Northern Lights — beautiful, moody, in flux. Visit before the city changes forever. Do it: Plan your stops with visitreykjavik.is and local blog, iheartreykjavik.net. Happy Hour: Download the Reykjavík ‘Appy Hour’ app, and you could escape the weekend without losing your house on a pint. It lists bars offering discounted drinks during Happy Hours (roughly 4pm–8pm) in the city. The only thoroughfare to loop the whole island, Route 1 is Iceland’s very own Wild Atlantic Way — with a bracing Arctic chill. Also known as the Ring Road, the route yields 1,332km of spectacular motoring, connecting fishing villages, Narnia seascapes and rural postcards along the way. Don’t expect your typical highway conditions, however. Much of Route 1 is simply a two-lane carriageway, and while the majority of the road surface is tarred, there are remote parts of eastern Iceland with stretches of unforgiving, gnarly dirt tracks. So yes, you’ll need to add gravel insurance to your road-trip budget — and pay attention around bridges, some of which can only fit one vehicle at a time. Given its deceptive distance, modest speed limits (90kph) and unpredictable driving conditions, one week is the minimum timeframe to really enjoy the route (remember, there’s no shortcut back, after all!). Some of the trip highlights include the glaciers of Vatnajökull National Park, the stunning scenery of the East Fjords or orca-spotting along the frigid northern coast. When planning your route, consider navigating your itinerary anti-clockwise and heading south to the billboard sights of the Golden Circle, first. Photo stops are myriad: gushing waterfalls, shaggy-maned Icelandic horses and meadows of lilac lupins blanketing the landscape. Beyond those delights lies perhaps the route’s most dramatic sight: Iceland’s black beach. Better known as Reynisfjara to locals, this ebony basalt strand is a lunar wonder, hallmarked all the more by a peppering of spectacular jagged sea stacks — all created by trolls, naturally. Do it: Unless you’re grabbing the car ferry from Denmark, all roads in Iceland lead to Reykjavík. Use the capital as your gateway for Route 1 but book any accommodation beyond the city well in advance. Northern and eastern Iceland have a tiny inventory of Airbnbs and hotel beds, so plan early. Iceland Travel Tips: With few hard shoulders, driving in Iceland carries with it a very real risk of crashing into the scenery. Pay close attention to the road, and only pull in for photo stops where there is a side road, farm entrance or lookout spot. This is particularly important in winter, or at night. There’s an ethereal, eerie atmosphere to the Icelandic countryside. The landscape frequently veers towards the otherworldly, with wide, sprawling glaciers and snow-topped volcanoes. The Land of Fire and Ice has been a dream for the makers of Game of Thrones, too — who have been filming in the country since Season Two (and skyrocketing visitor numbers ever since). A good chunk of the locations used are in the northeast of the country — like Grjótagjá, the cave that served as Jon Snow’s saucy love nest. It’s one of the most popular sights for visiting fans, but performing your own naked cannonball into the pool is probably not recommended. If you want to head Beyond the Wall, Lake Myvatn and Ásbyrgi are the places to suss out. With bubbling mud pools, giant craters and a landscape that’s more than a little spooky, this is the perfect setting for Wildlings (or Free Folk, if you want to be polite). The craggy lava fields of Dimmuborgir are where Mance Rayder set up camp with his Wildling army. If you want to make life easy, head out on an escorted Game of Thrones tour. Much like Northern Ireland, tours of the area have surged in popularity since the HBO show hit the big time, and it’s an easy (albeit expensive) way to tick off a lot of locations in one (Winter)fell swoop. 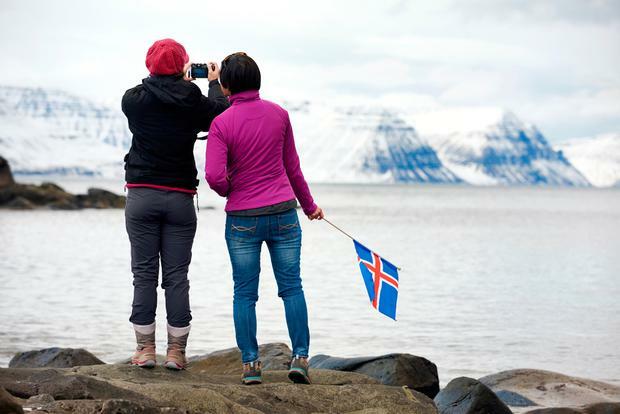 Do it: Iceland Travel (icelandtravel.is) offers day tours starting in Reykjavík from €108pp, or trips ‘Beyond the Wall’ from €184pp (return flights from Reykjavík to the start point of Akureyri can be included). Lights, camera, Iceland! Game of Thrones isn’t the only on-screen universe set in Iceland. 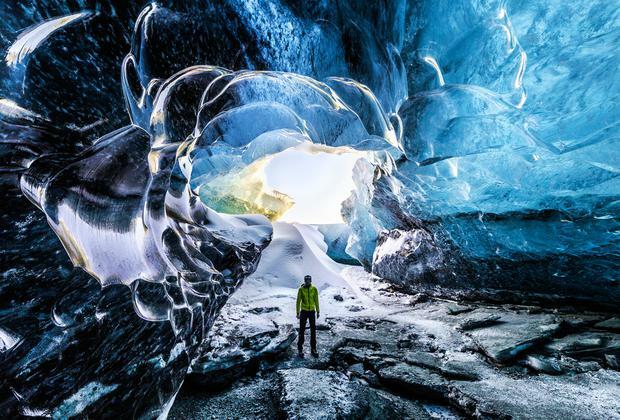 Eyjafjallajökull glacier was a location in Star Wars: The Force Awakens (2015), and Ben Stiller jetted over to film The Secret Life of Walter Mitty (2013) in locations ranging from the gorgeous village of Stykkishólmur to Jökulsárlón glacial lagoon — also a shooting location for Die Another Day (2002) and Lara Croft: Tomb Raider (2001). 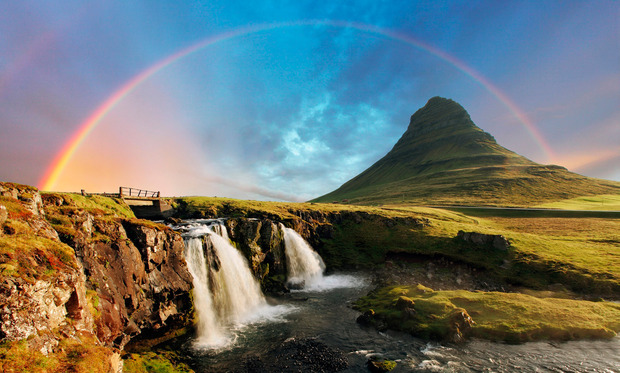 It’s one of Iceland’s most popular tourist spots, and on every Instagrammer’s wishlist. The Blue Lagoon was once named among National Geographic’s 25 Wonders of the World, and it’s a visual stunner. As experiences go, it’s a goodie too — nothing beats the feeling of floating outdoors in steaming, powder-blue water, drifting between hot zones and slathering your face in the natural silica mud mask. However, there are drawbacks. Being such a huge pull for tourists means that it can be packed to the rafters (you’ll find queues for showers, lockers and robe-hanging space at a premium). It’s a pricey business, too — a basic ticket costs ISK5,400/€47. Throw in a towel and a drink, and you’re looking at Isk7,400/€63. It’s also not quite as natural as it seems — the reservoir was formed in 1974, the result of run-off from a nearby geothermal power plant. Last year, an extensive expansion programme kicked off, enlarging the size of the lagoon by 50pc, without increasing the number of bathers allowed in at one time. The expansion will be completed in autumn 2017, with the opening of an underground spa, signature restaurant and the luxury 62-room Moss Hotel. The hotel looks set to impress, if the renderings are anything to go by — picture stark, chic Nordic styling, with plush armchairs, polished concrete floors and huge windows overlooking the lagoon. The spa, Lava Cove, will bring an exclusive, luxury edge to the lagoon experience, with dreamy relaxation areas surrounded by stone and fire. It’ll also be more sheltered than the lagoon, with nifty features like a drip ceiling and waterfall. Prices haven’t yet been released. 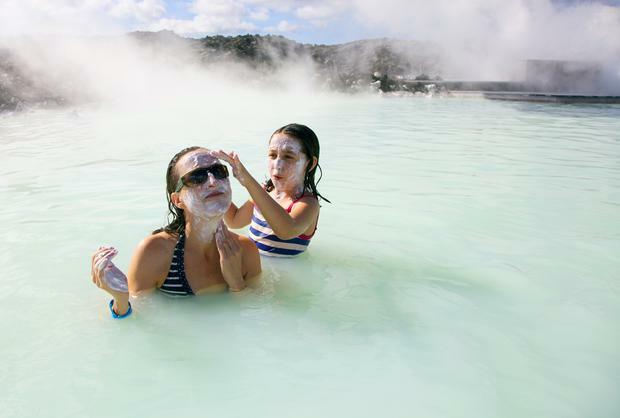 Do it: The Blue Lagoon is roughly a 45-minute drive from Reykjavík, so many visitors book it as an excursion. See bluelagoon.com. 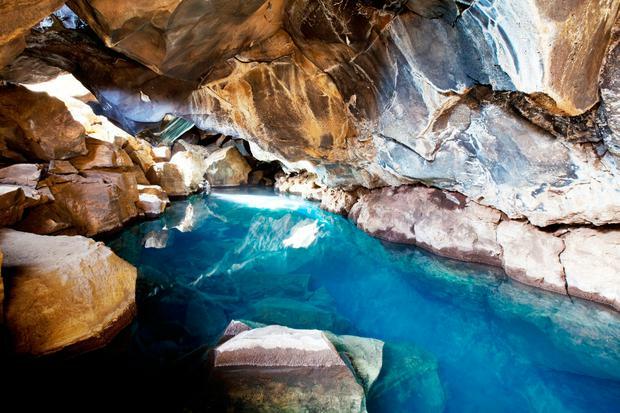 Iceland Travel Tips: The Secret Lagoon (secretlagoon.is), located roughly 100km southeast of the capital, is the oldest swimming pool in Iceland, made in 1891. 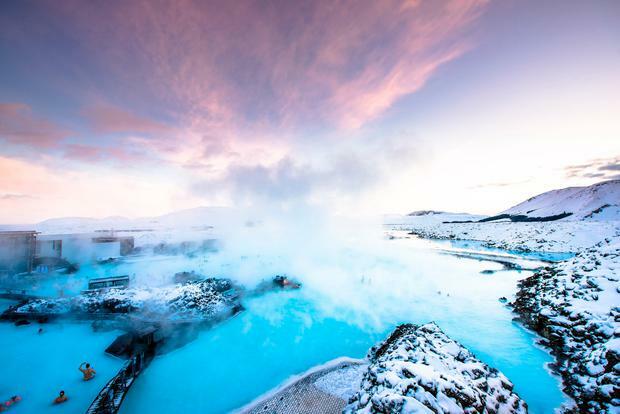 While still fairly busy (booking is also essential) you’ll get all the benefit of the geothermal waters here, and there’s a cute little geyser in the mix, too. Prices start at a more affordable ISK2,700/€24. You can snorkel between continents in Iceland. Literally. The country straddles the North American and Eurasian tectonic plates (moving apart at the rate of about 2cm a year, incidentally) — and snorkelling expeditions to the Silfra Fissure are one of its signature experiences. See adventures.is or extremeiceland.is for gin-clear glacial water adventures. Set on the foothills of Iceland’s Southern Highlands, tufty alpine meadows dotted with buttercups and mountain sheep fold beneath a backdrop of snow-capped peaks. With utter silence and solitude, it’s the most pacific of panoramas. Oh, and is that Eyjafjallajökull in the background? The glacier volcano, which brought 10 million travellers to a standstill when it erupted in 2010, is now enjoying a post-viral life as one of Iceland’s most daring hiking trails. One of the most popular ways to encounter the crater is the Fimmvörduháls route, a spectacular trek that skirts its hillsides, leading to the volcanic craters of Magni and Módi, both of which have been steaming since they shut down much of Europe’s airspace in 2010. It’s a full-day, 30km route, so you’ll need a high level of fitness to complete it, but even a couple of hours of hillside wandering rewards the novice with awesome views. Hunkering down for the night? For a quirky base in the area, check into Fljótsdalur Hostel (hostel.is; €50), a traditional turf-roofed cottage in the heart of the Thórsmörk valley. Or, if you’re feeling a little more intrepid (and hardy), primitive mountain huts dot the route. You’ll need to be kitted out like a pro for the latter (think thermals, mummy sleeping bags and a rucksack full of protein-packed treats), but any outdoorsy outing in Iceland calls for waterproofs in your backpack, just in case. Woollen hats? Whatever the season, pack them as standard. Do it: Eyjafjallajökull looms off Route 1, two hours east of Reykjavík. For the inside track, join a guided tour with trek.is (€260 per day). Iceland Travel Tips: Geography buffs can enjoy the Eyjafjallajökull visitor centre, set in a converted farmhouse in Thorvaldseyri (icelanderupts.is; €6). Wow air (wowair.ie) flies direct from Dublin and Cork to Reykjavík from €59.99 one-way, including a small, free 10kg bag. Airport bus transfers (re.is/flybus, grayline.is) take about 45 mins. For packages and ground itineraries try Wallace Travel (wallacetravelgroup.ie), Travel Department (traveldepartment.ie) and Cox & Kings (coxandkings.com). For more info see visiticeland.com.